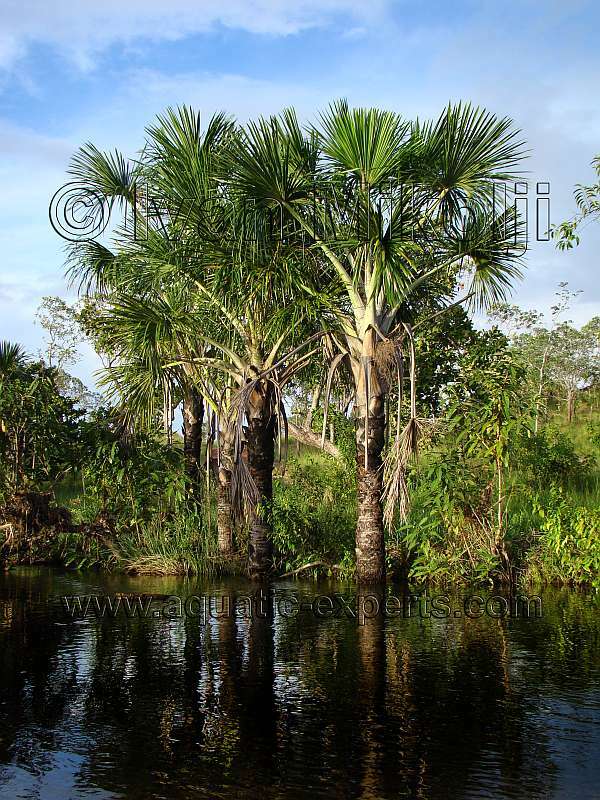 Morichales get their name from the Moriche Palm (Mauritia flexuosa) which is a palm which only grows and thrives where its roots can be underwater. 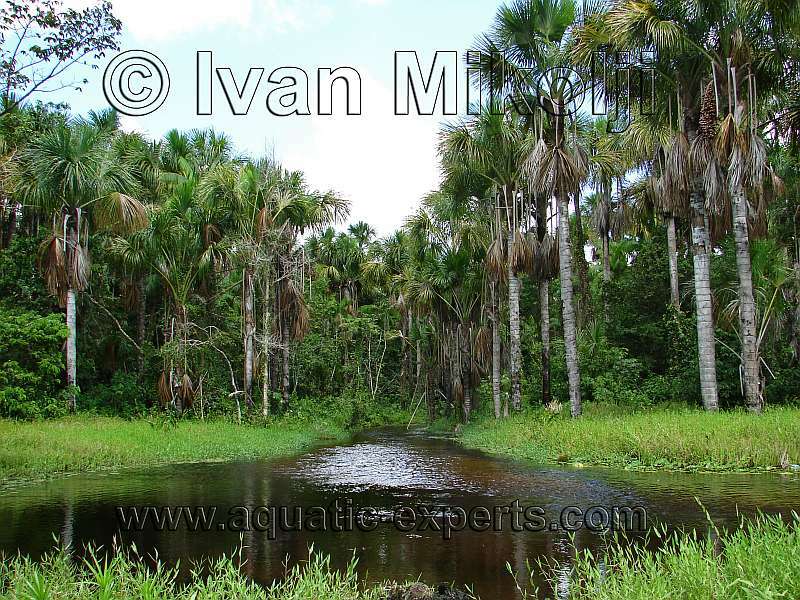 Morichales is just the name given in Spanish to a large group of Moriche Palms. 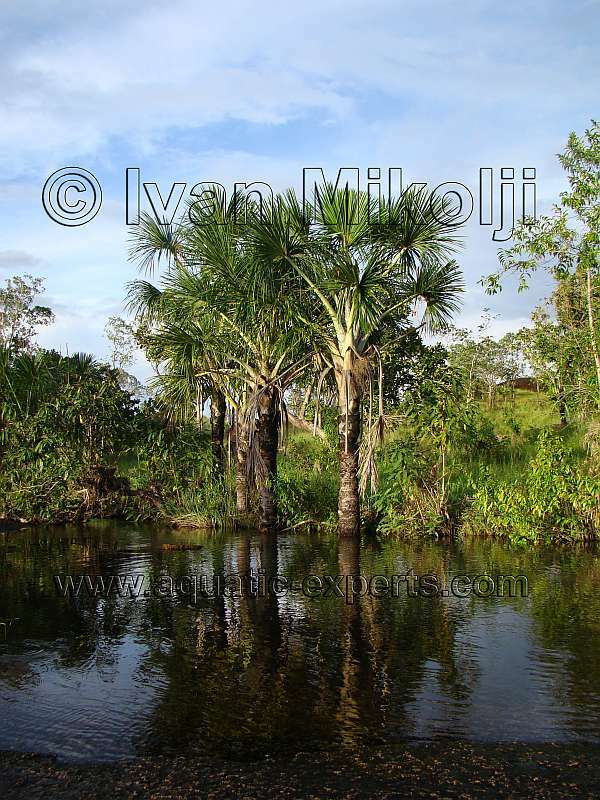 A good example of a Morichal is the Morichal Largo River which is located on the North Eastern area of Venezuela. 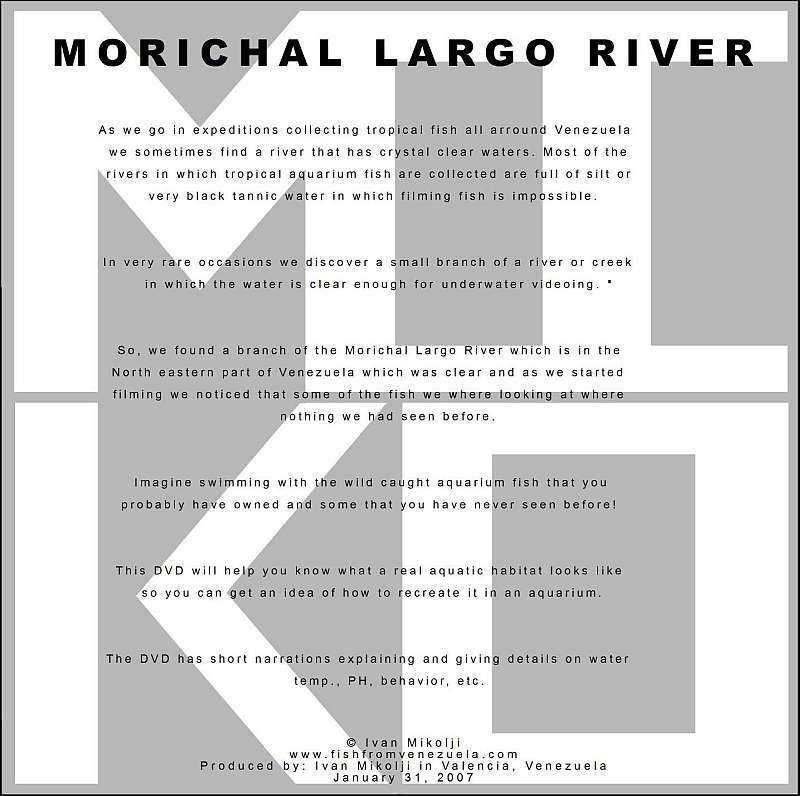 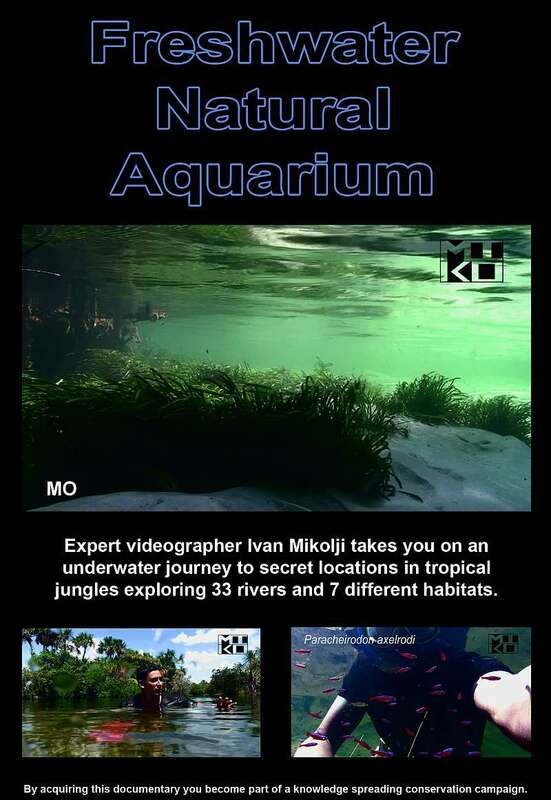 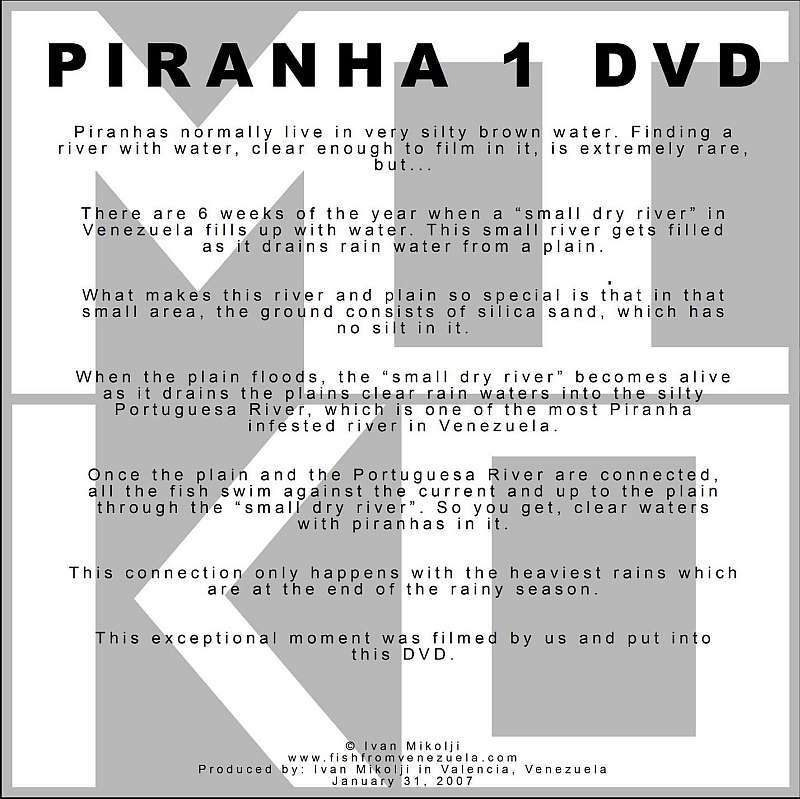 For further information on Morichales get our Morichal Largo River DVD. 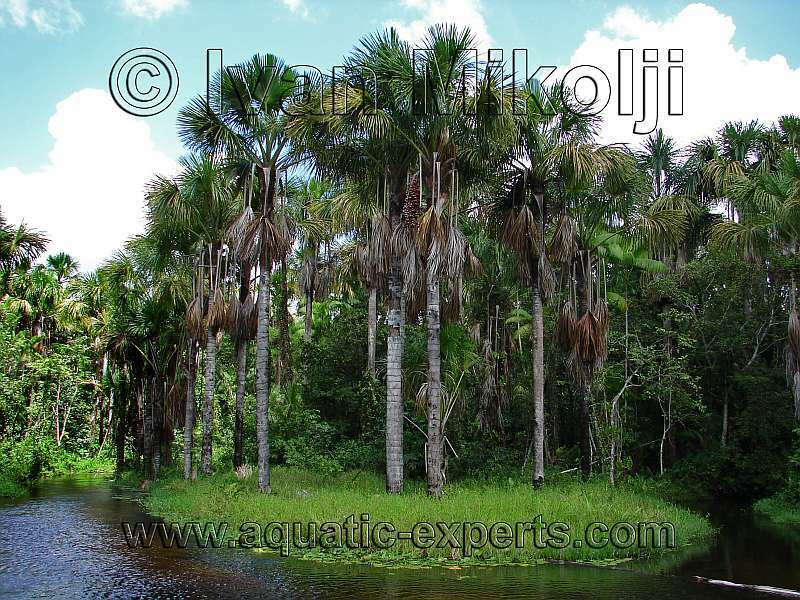 The Moriche Palm large leaves which fall into the water also transfer tannins to the water giving it a tea color and lowering the pH. 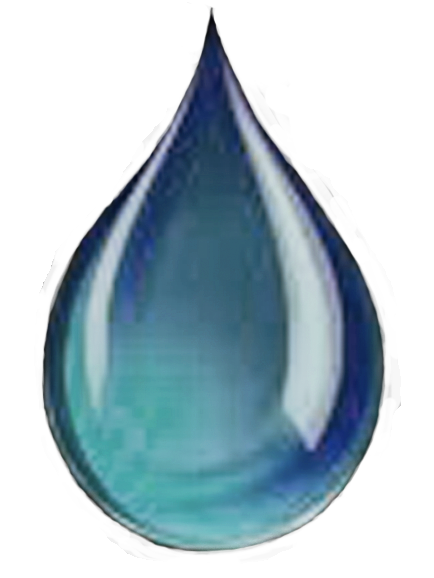 It is not unusual to find a Morichal with a pH as low as 5.2. 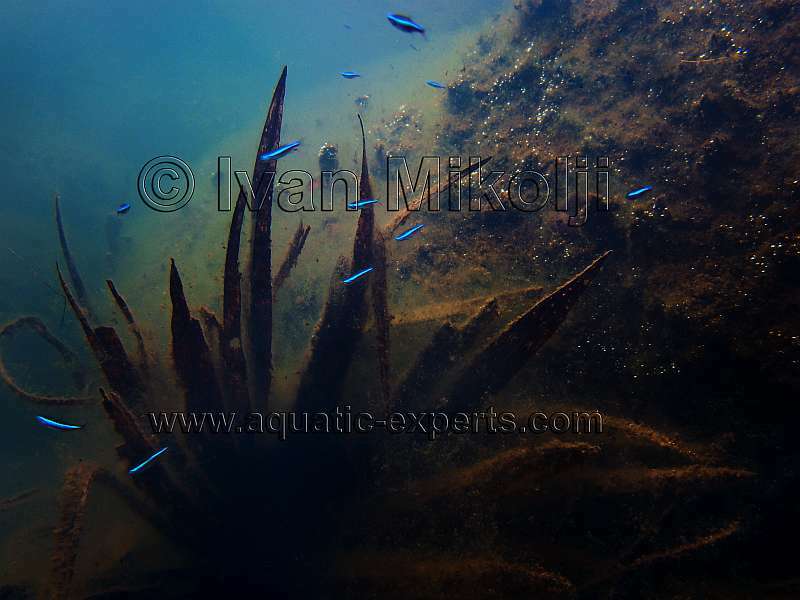 ABOVE: Paracheirodon simulans, commonly called the Green Neon tatras in the aquarium hobby swimming in front of a Moriche Palm Leaf that has fallen in the water.. 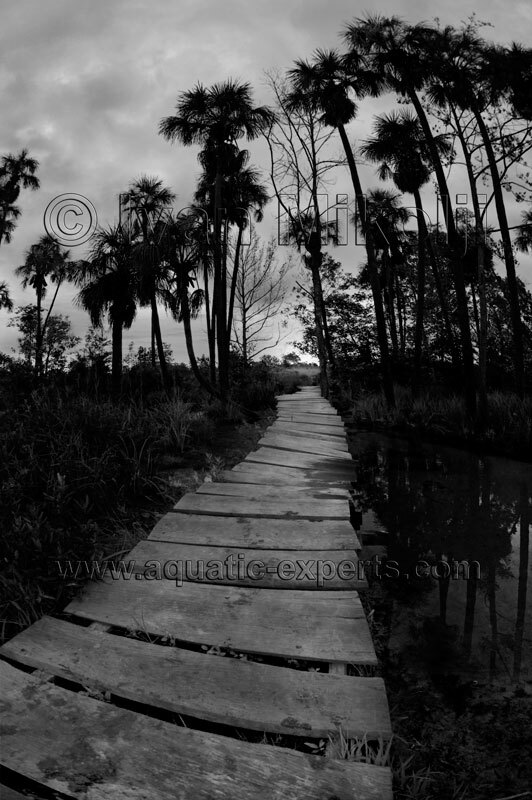 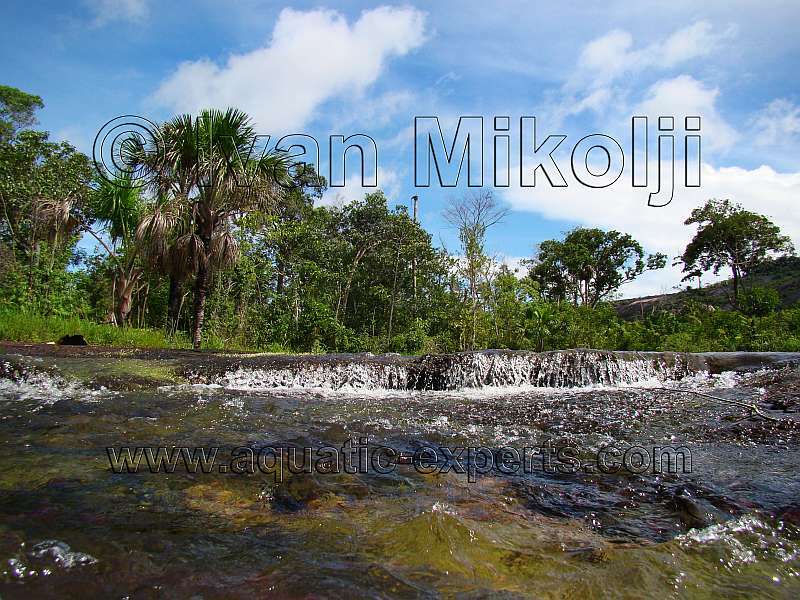 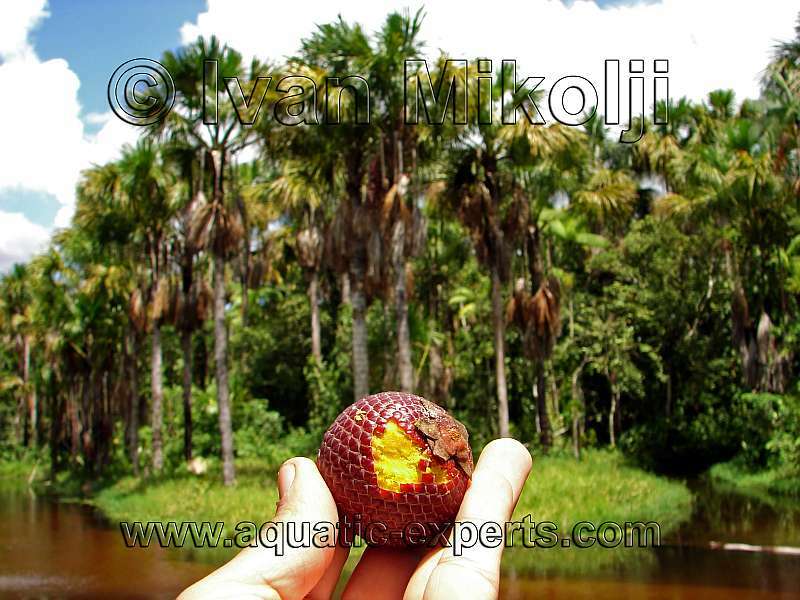 The Moriche Palm fruits which fall in the water serve as food to many species of freshwater tropical fish. 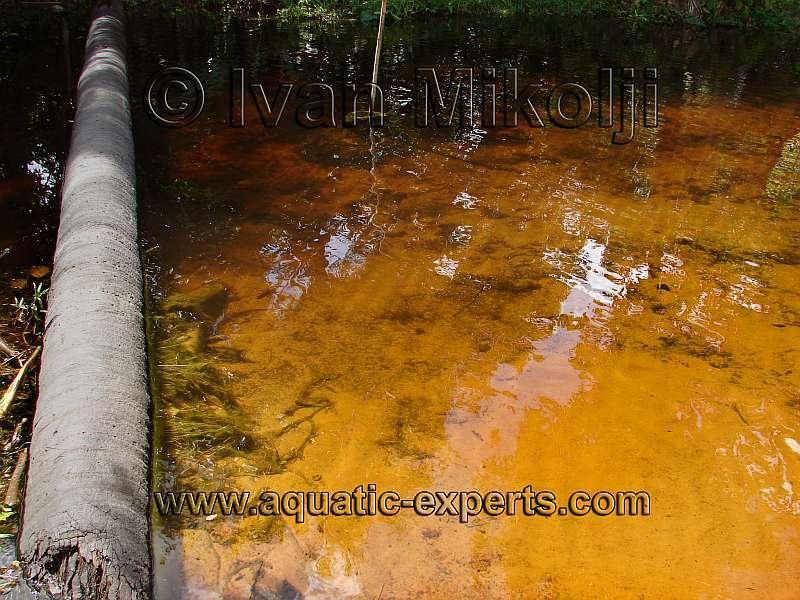 It's not unusual to spot a Heros severus or other cichlids eating the yellowish pulp. 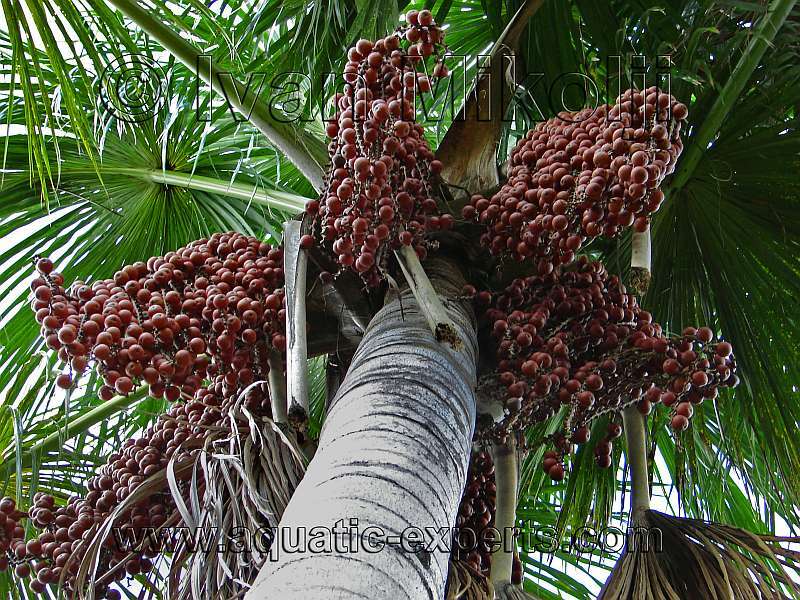 This fruit is also consumed by piranhas when other food sources are scarce. 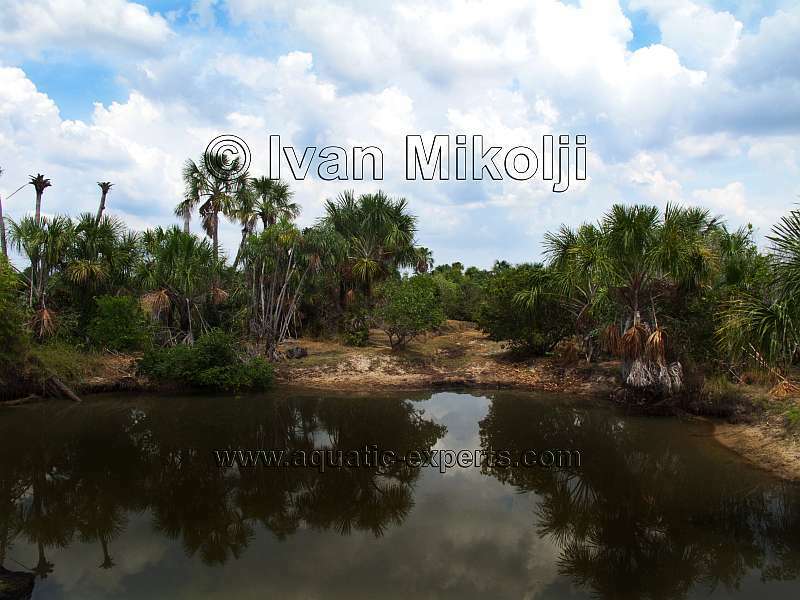 ABOVE: Morichal in the dry season. 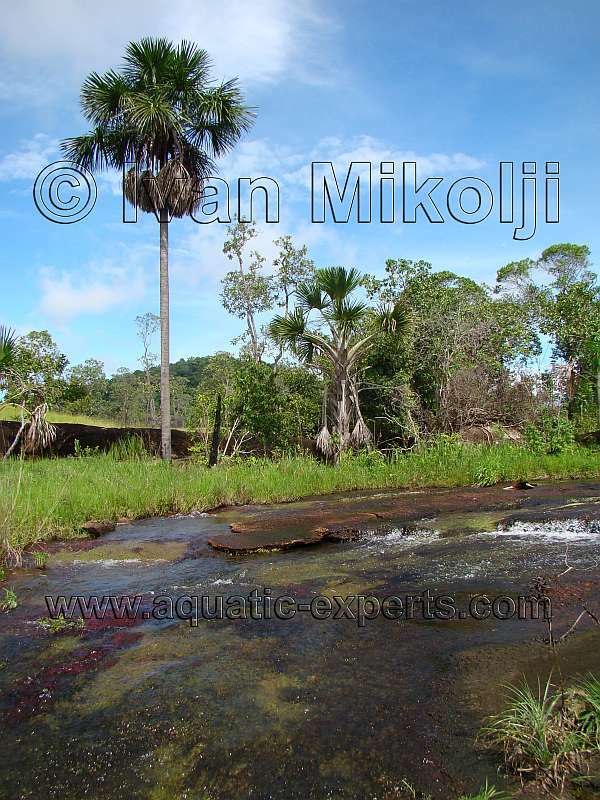 As Morichales usually get their water from underground water springs, they maintain water year round. 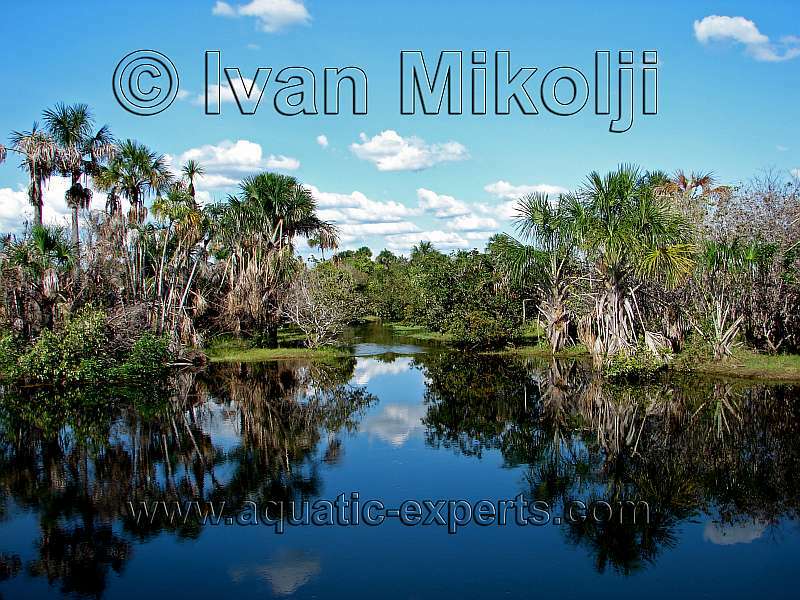 Maintaining water year round helps non migratory fish as Apistogramma, other cichlids, and plants survive the dry season. 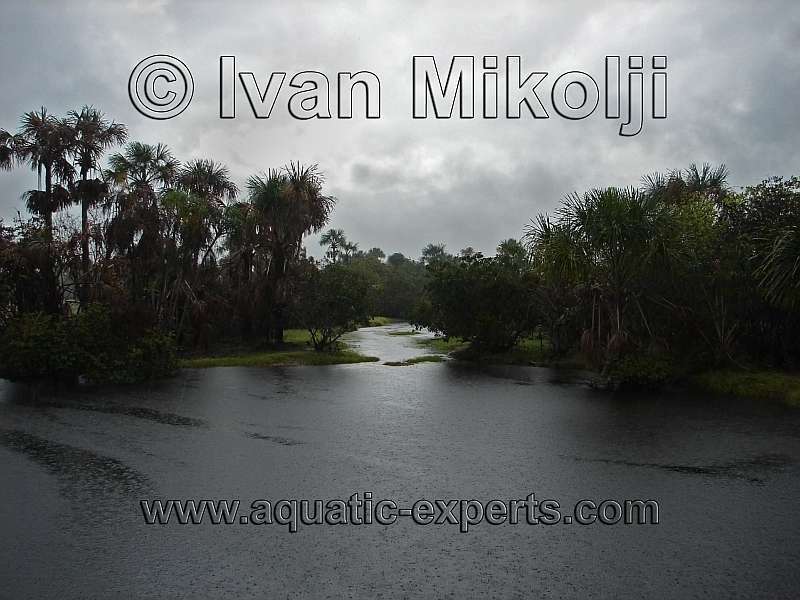 BELOW: Same Morichal in the rainy season. 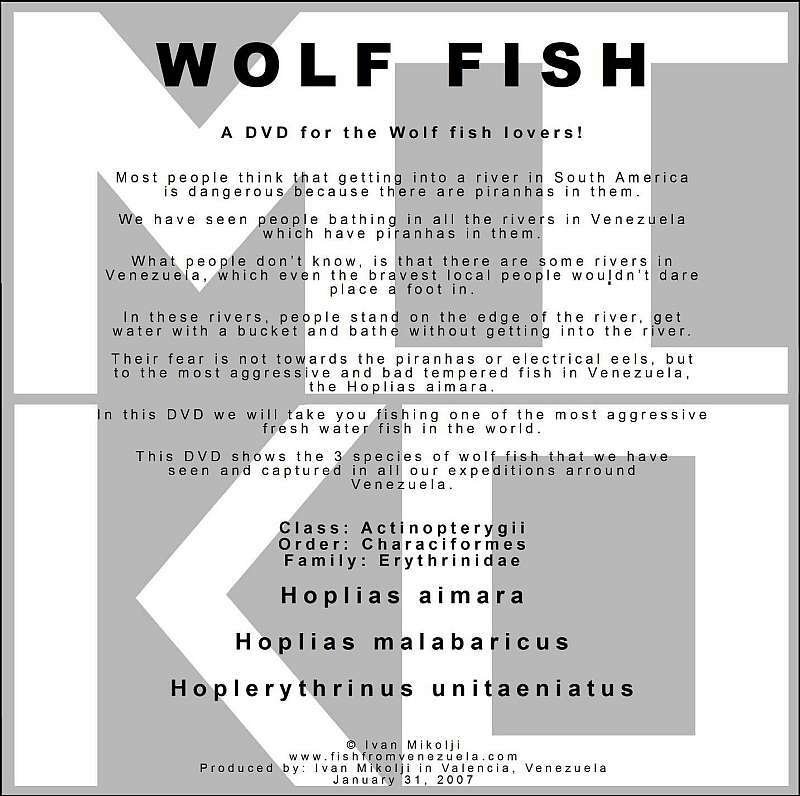 BELOW: Other images of various Morichales.